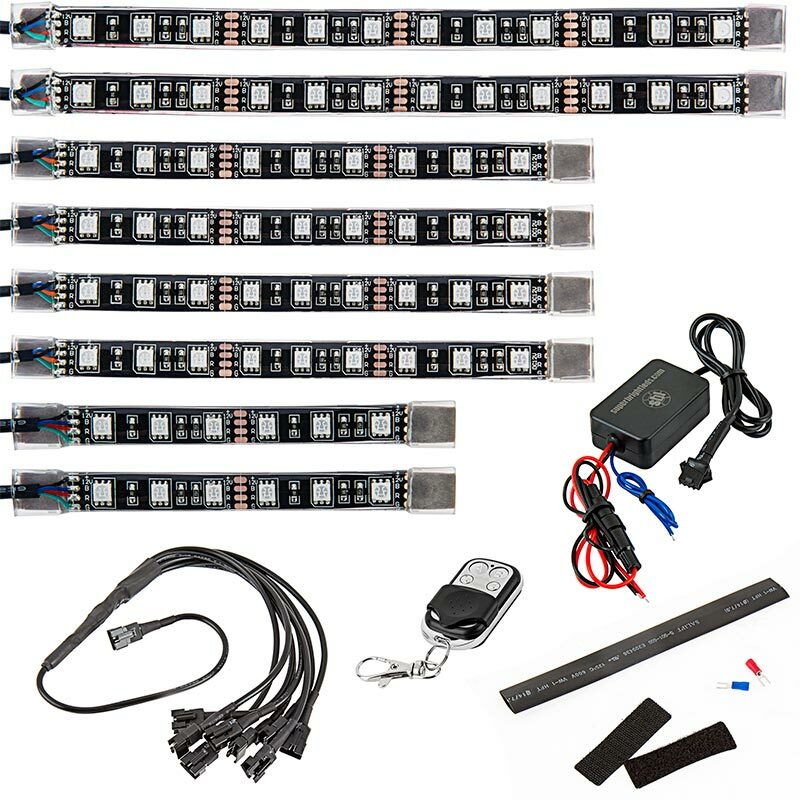 Boat & Jet Ski - Color Changing Weatherproof RGB LED Glow Strip Accent Lighting Kit: 52" cord length. 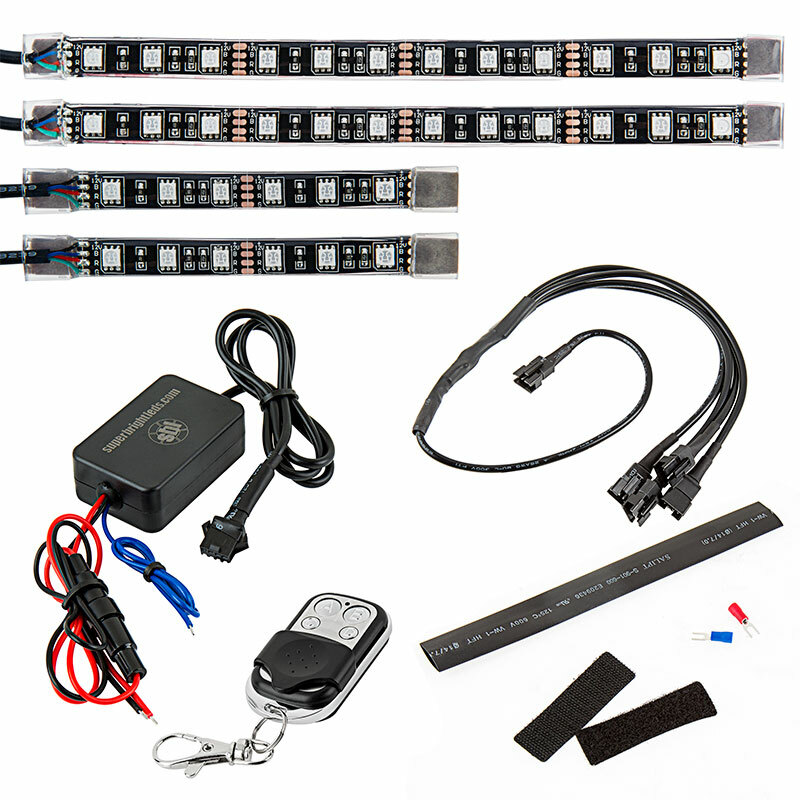 Boat & Jet Ski - Color Changing Weatherproof RGB LED Glow Strip Accent Lighting Kit: Gallery Showing Strips On In Various Color Modes. 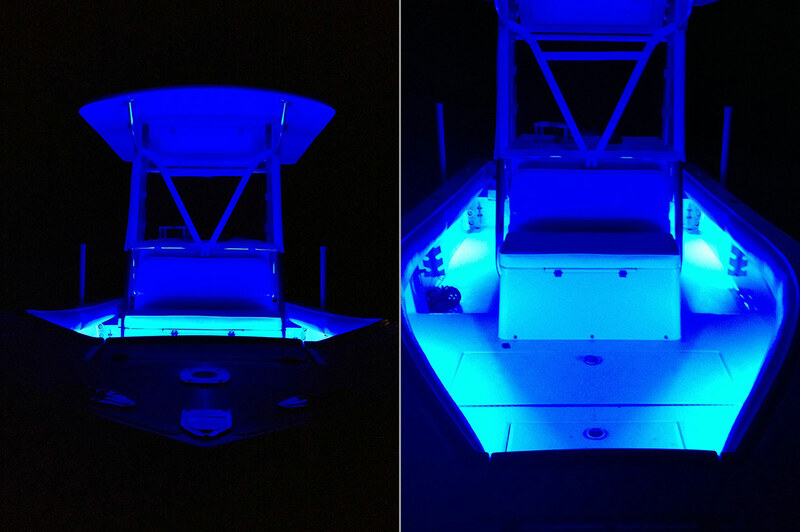 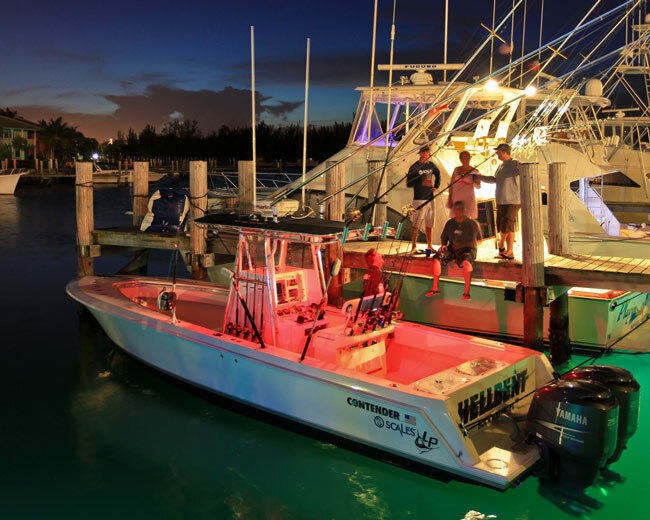 These plug-and-play, color-changing LED Boat & Jet Ski Lighting Kits come with everything needed for custom installation on boats, Jet Skis, decks, rod lockers, recessed compartments, or any location that needs light and color. 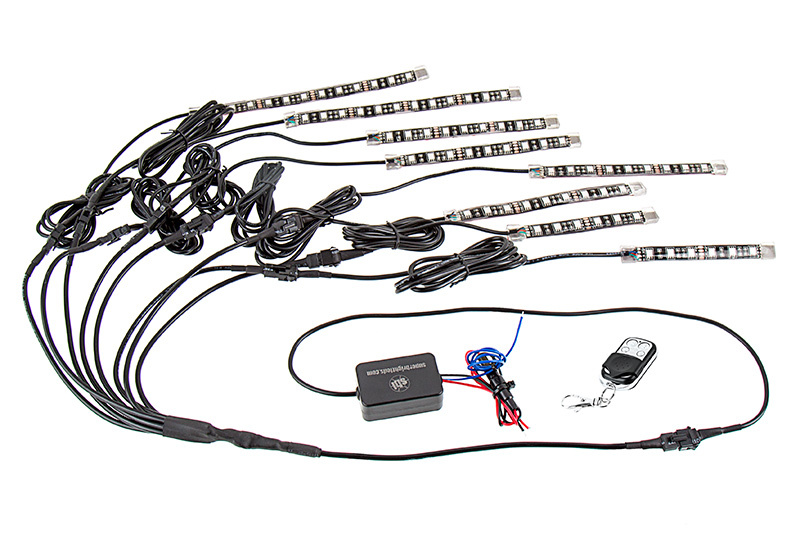 The color-changing kits include waterproof (4- or 8-piece) flexible RGB LED strips with plug-and-play connectors, connector hub, waterproof RGB controller with in-line fuse and LC4 connector, and 1 RF remote control key fob with multiple dynamic color-changing or single-color modes with adjustable speed and brightness levels. 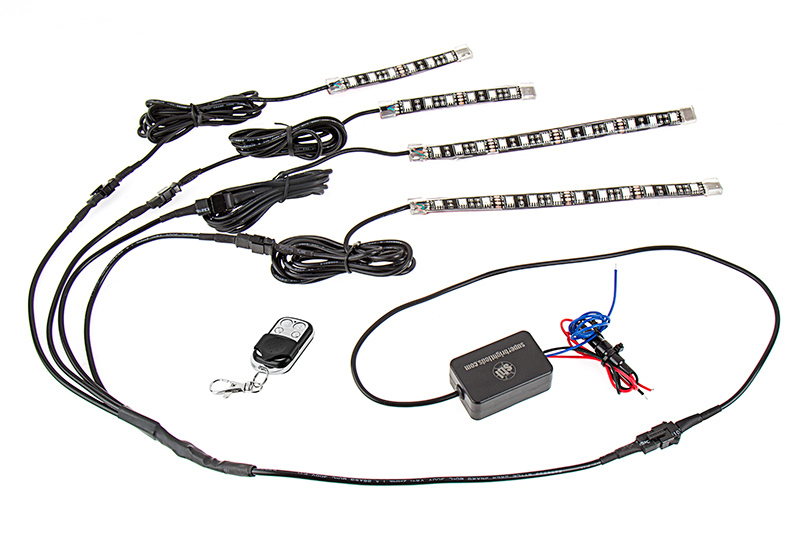 An override function allows the controller to interrupt color modes and activate only red; power-cycle mode retention returns your light strips to the previous mode. 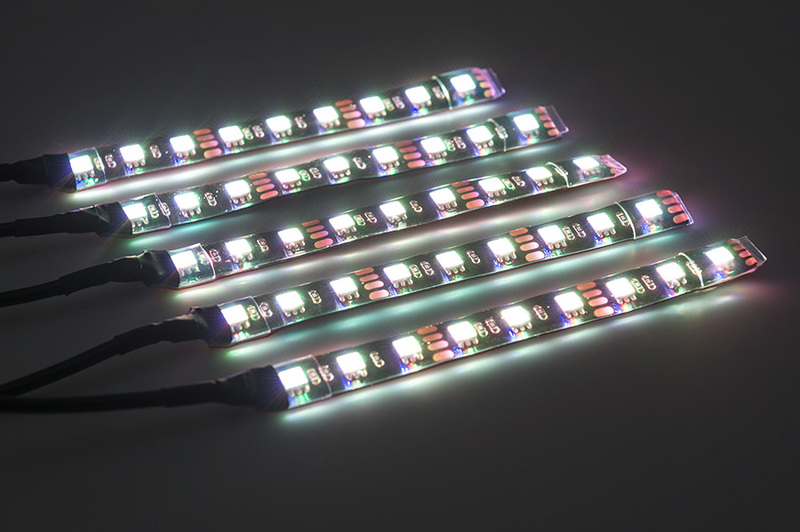 Strips mount using 3M VHB adhesive backing and can be cut into 3-LED segments. 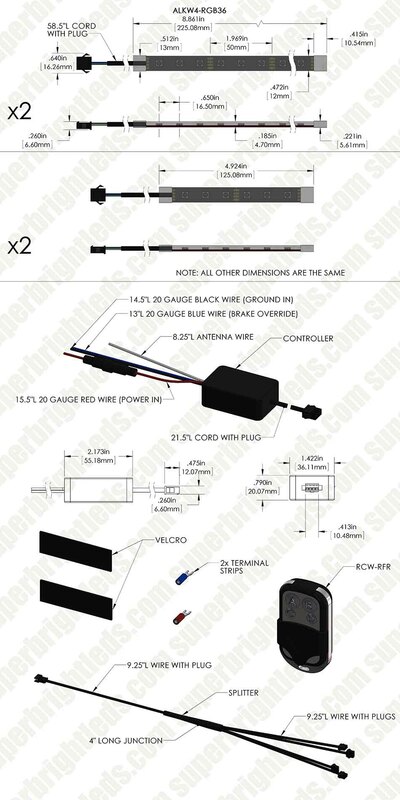 See individual installation guides for a list of installation accessories. 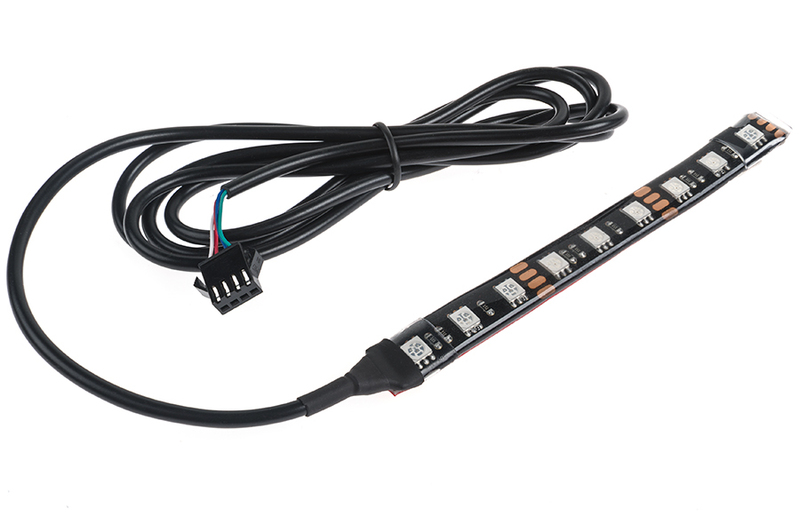 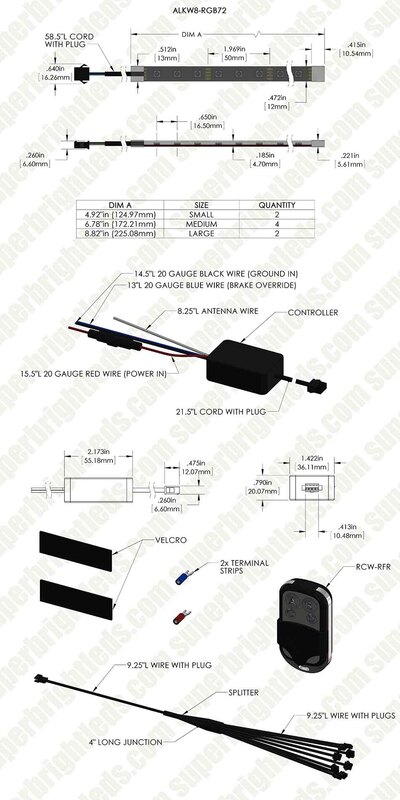 Operates within a 10-15V DC range.